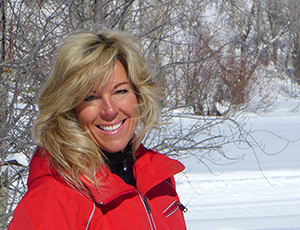 Should I Rent My Steamboat Springs Home to Vacationers? What will the rate of return on my investment be? The best return on your investment will be the memories you and your family share. Don’t count on a monetary return on your investment. If there is one that is great, but don’t plan on it. Your income may help to offset your expenses, but very few properties will “cash flow”. The more money you put as a down payment, the better that chance might be. What can I expect to make in rental income? It all depends. How much is it rented and when, and how much will you use it yourself. If you plan on using the property during the “prime time” rental weeks, your income will reflect that. Additionally, the company that manages it takes a percentage of the rentals, ranging from 40% to 50% plus some expenses. The more business you can help to create for them the more money you will make. We have average and projected figures from several management companies we will be happy to supply to you. Do I need amenities if I want to put the property on a rental program? Many condo complexes have pools, seasonal shuttles, exercise facilities, front desk/concierge and hot tubs among other amenities. You do not need to have everything, but most people ask for hot tubs at least. Having access to a hot tub will improve your rental income by 20% to 40%, depending on which management company you talk to and if the hot tub is communal or private. Keep in mind that the more amenities a complex has, the higher the Home Owner dues will be. What will my expenses be as an owner? If you are in a condo or townhome complex you will have Home Owner Association dues. In a single family home or duplex you will have the same utility and maintenance expenses you have in your primary residence. In addition you will have monthly mortgage payments unless you pay cash. Even then, you still have taxes and insurance to pay annually. Many single family homes and duplexes are in subdivisions which also collect Home Owner Association Dues. Home Owner Association dues vary, depending on the age of the complex, size of the condo / townhome and what they pay for. They almost always cover snow removal and trash removal, common area maintenance and exterior building insurance for the complex, water and sewer and cable TV. Some include heat. Dues are usually higher if the complex has lots of amenities such as a pool, tennis courts, hot tubs, front desk / concierge staff and a shuttle bus service. If you are renting the home or condo, be sure to tell your insurance agent. Your rates will be higher, but unless you disclose the rental situation you may not be covered if you have a claim. If you own in a condominium complex the insurance on the building is usually included in your dues. You should still carry contents and liability coverage. What are the interest rates when I finance? For a second home the rates are comparable to what you will pay for your primary residence. If you plan to use the property only as a rental the interest rate will be about % higher. If you use it yourself and rent occasionally you can probably get by with a second home rate, but it will depend on the lender. Many people start out thinking they will use it only as a second home, but change their minds once they close and decide to rent. What are the tax consequences if I use my home as a rental? The IRS has specific rules regarding what expenses are deductible and how many days a year you can rent your property without having to declare the income. (It is not many!) Please check with your financial advisor as your situation is unique to you and will be different from mine and your friends and neighbors. What closing costs will I incur when I buy my home? In addition to your down payment, my rule of thumb is to allow 2% of the purchase price for closing costs. If you purchase a condo or townhome, you will often have to pay the Capital Contribution which is usually equivalent to one quarter of the Home Owners Association Dues. This amount will be refunded to you if you sell the unit in the future. I want to be secluded. What is available? There still are a few places where you can get an acre or more, but be prepared to be away from town and possibly pay a hefty price for them, especially if they have river access. Seclusion doesn’t necessarily need to mean a big chunk of land, however. Consider a treed lot or a condo complex that looks out at open space or trees. I want acreage. What is available? See above. There is still acreage available and some areas that allow horses, but you pay a lot more for it. Most people only want to spend that much for a primary home, and perhaps that is what you are looking for. Consider property that backs to the National Forest or is close to open space. Water and sewer is available in town. As you get further away from developed areas you will need to have well and septic for single family properties. Natural gas is available in most areas, but some may use propane. There are a few subdivisions that are even “off the grid” with no utilities at all. Home owners must have alternative energy systems like solar, cisterns and generators. We have wireless and cable or DSL internet service in most areas in town. Some still rely on standard dial-up. Many of the condo complexes on the mountain are in the process of upgrading their units to include DSL. Downhill & Cross Country Skiing, Snowshoe Tours, Snowmobiling, Horseback Riding, Hot Air Balloon Rides, Ice Skating, Hiking, Mountain Biking, Dining, Shopping, Hot Springs, Festivals and many more! What will Michelle need to know to find me the perfect property? In order for me to better serve you, I will ask some questions in the beginning of our discussions. The more information you can provide, the quicker we can narrow down the search and find you the best property available. How many bedrooms / baths would you prefer? When are you coming to Steamboat to look at real estate? Is the property going to be a rental? How can I find out when new listings come on to the market? The best resource is my web site, www.SteamboatListings.com. This site links in to our local MLS and has search criteria that you can customize. You can also sign up to receive automatic emails of any new listings that come on to that market which fit the criteria that you set.